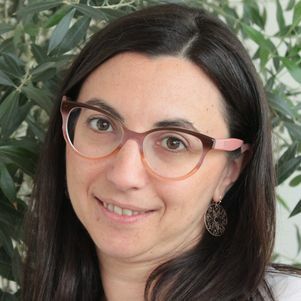 Eleonora Papadimitriou is Assistant Professor (since 2018) with the Safety and Security Science Section of the Faculty of Technology, Policy, and Management. She holds a Civil / Transportation Engineering diploma from the National Technical University of Athens (2001), a MSc in Transport from the Ecole des Ponts ParisTech (2003) and a PhD degree (2010) in Transport Safety. Eleonora’s research interests lie in transport safety, risk assessment and modelling, user behaviour with emphasis on vulnerable road users, infrastructure safety management and efficiency assessment. She has more than 17 years of research experience mostly within international research projects of the European Commission and other international organisations (e.g. OECD/ITF, WHO, UNECE, CEDR). Papadimitriou E., Theofilatos A. (2017). A meta-analysis of crash risk factors in freeway entrance and exit areas. Journal of Transportation Engineering, Part A: Systems, 143(10). Pavlou D., Papadimitriou E., Antoniou C., Papantoniou P., Yannis G., Golias J., Papageorgiou S.G. (2017) Comparative assessment of the behaviour of drivers with Mild Cognitive Impairment or Alzheimer’s Disease in different road and traffic conditions. Transportation Research Part F: Traffic Psychology & Behaviour 47, pp. 122-13. Papadimitriou E. (2016).Towards an integrated approach of pedestrian behavior and exposure. Accident Analysis & Prevention 92, pp. 139-152. Antoniou C., Yannis G., Papadimitriou E., Lassarre S. (2016), Relating traffic fatalities to GDP in Europe on the long term. Accident Analysis & Prevention 92, pp. 89-96. Papadimitriou E., Yannis G. (2013). Is road safety management linked to road safety performance? Accident Analysis & Prevention 59, 593-603. Dupont E., Papadimitriou E., Martensen H., Yannis G. (2013). Multilevel analysis in road safety research. Accident Analysis & Prevention 60, 402-411. Papadimitriou E., Yannis G., Bijleveld F., Cardoso J.L. (2013). Exposure Data and Risk indicators for Safety Performance Assessment in Europe. Accident Analysis & Prevention 60, 371-383. Papadimitriou Ε. (2011), Theory and models of pedestrian crossing behaviour along urban trips, Transportation Research Part F 15 (1), 75-93. Eleonora is member of the Editorial Board of the IATSS Research Journal and the Journal of Advanced Transportation.